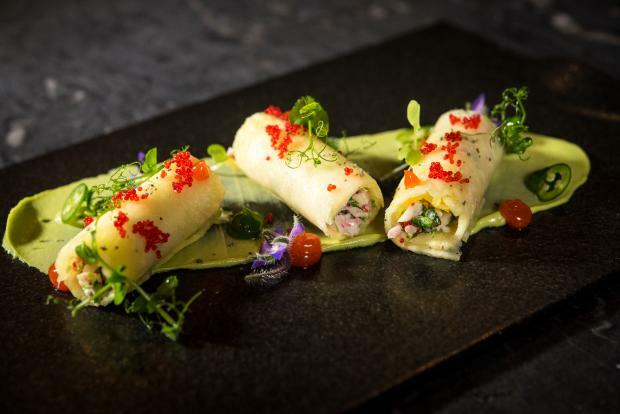 Megu's King Crab Pineapple Roll, a chopped king crab mix with yuzu mayo, wrapped in pineapple sheet over avocado truffle and topped with tobiko and shiso powder. CHELSEA — A former "Top Chef" contestant will take the helm at a new Japanese eatery inside the Dream Downtown Hotel. Season 13 competitor Frances Tariga-Weshnak will be the executive chef at Megu, a "modern Japanese concept" restaurant inside the hotel at 355 W. 16th St., between Eighth and Ninth avenues, the restaurant said in a release. The eatery, which is slated to open in mid-July, is a revamped version of Megu’s locations in TriBeCa and Midtown, both of which closed in 2014, the release noted. Jon Bakhshi, who owns upscale restaurant Beautique in Midtown, is opening the new Mega outpost. The restaurant will take over the space formerly occupied by Asian-fusion restaurant Cherry. In addition to “Megu classics,” the eatery will serve dishes like foie gras croquettes and Japanese Wagyu beef, as well as a range of sushi. The price for a meal will hover around $50 per person, a spokeswoman said.